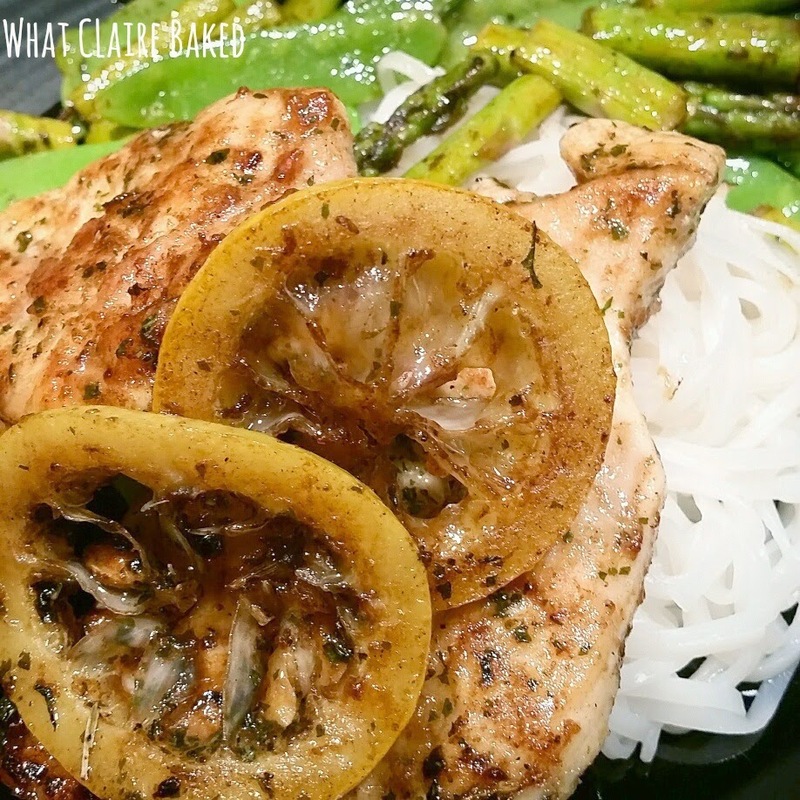 Readers, I’m back on the solo suppers series again! Given I am heading off on the first beach holiday of the year in the next couple of weeks, I thought I better make the effort to get back into shape again. 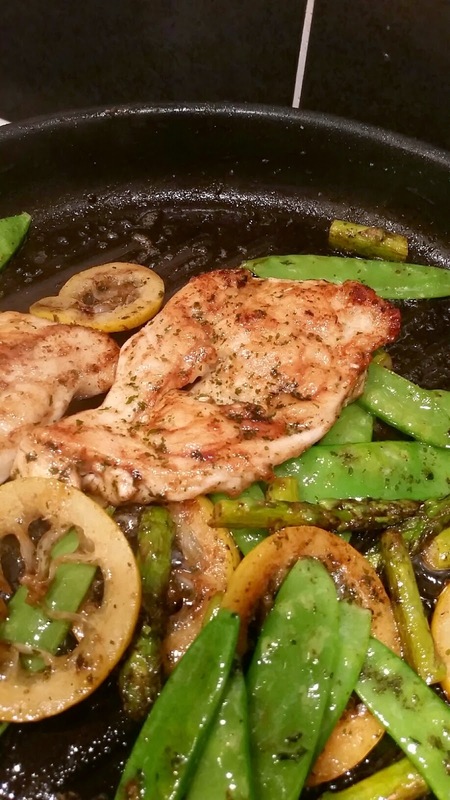 This is an incredibly simple one pan, one person meal that can be made in around 20 minutes. You don’t need fancy ingredients either – the store cupboard is key with this one. Apart from a little butter, it’s pretty healthy - packed full of protein and vitamins from the vegetables. I might try cooking it in coconut oil in future, just to see what it tastes like. 1. Add the plain flour and herbs to a tub (Tupperware is good). Mix around. 2. Half the chicken fillet and add to the flour mix, ensure it is fully coated. 3. Chop the asparagus spears, discarding any hard ends. 4. Add the butter to the skillet and melt over a medium heat. 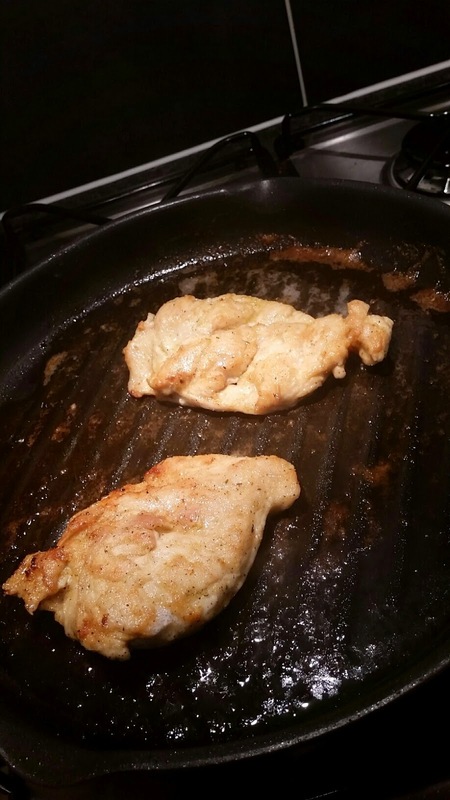 Once the pan is warm, add the chicken. Cook for 5 minutes each side. Remove from the pan and set aside. 5. 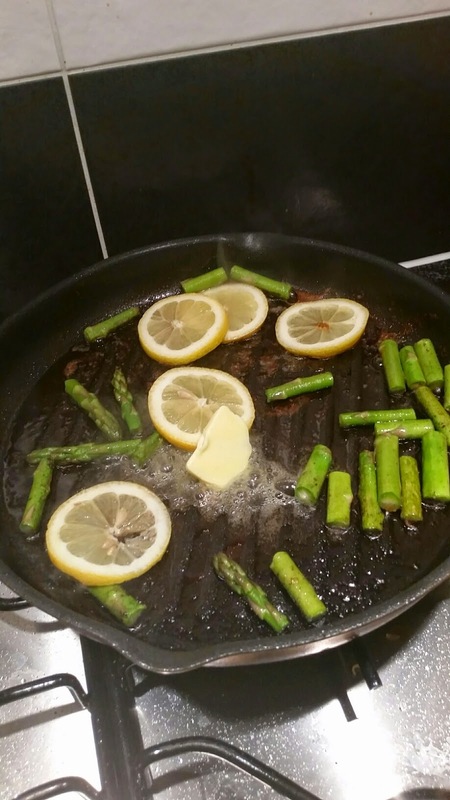 Add the lemon, asparagus and mange tout to the pan. Cook for around 5 minutes. Ensure the lemon slices are underneath everything, so the juice is released and the lemons begin to caramelise. Sprinkle a further teaspoon of herbs into the pan and mix through. 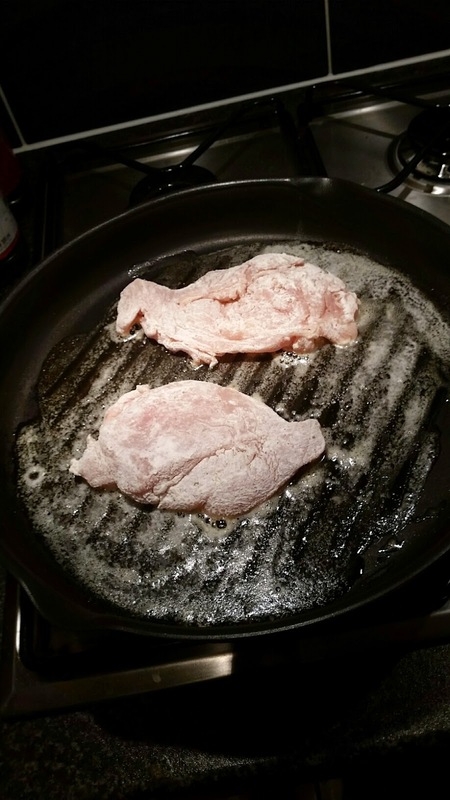 Add the chicken back to the pan and cook until hot through. 6. Serve immediately with brown rice or rice noodles.